In my opinion you can never stop experimenting with colors! Blending or not. This lipstick cocktail is another fave of mine! Even though it has a semi- ombre look, they are pretty well blended. These two colors look great on their own but when blended together.... talk about insane lip action! This combo is definitely for those that are not afraid of a bold look.. as you can see, it's pretty BOLD! First the Liner- With this combo, I didn't use a liner. I know it is totally obvious! My top lip does not look as full as when I use a liner. But there is only one liner I use with one of these colors and that is "MOTH" from MAC. It is stunning! The only reason I didn't have it this time was because I was getting ready and I realized that in our move it got thrown away by the cleaning lady :(. I rarely keep my items separated but for some reason I placed it in a drawer in my bathroom and we told her to toss everything in the bathroom... so yea sad day! Second my base color- For the base I used the one and only HEROINE from MAC. Paired with MOTH, it is incredible!! When putting on a base color I tend to put on an extra layer just to try and keep the original color seen as much as possible in the corners of my mouth. I think that always gives a lipstick cocktail a bit of oomph! And Finally.. my top color! 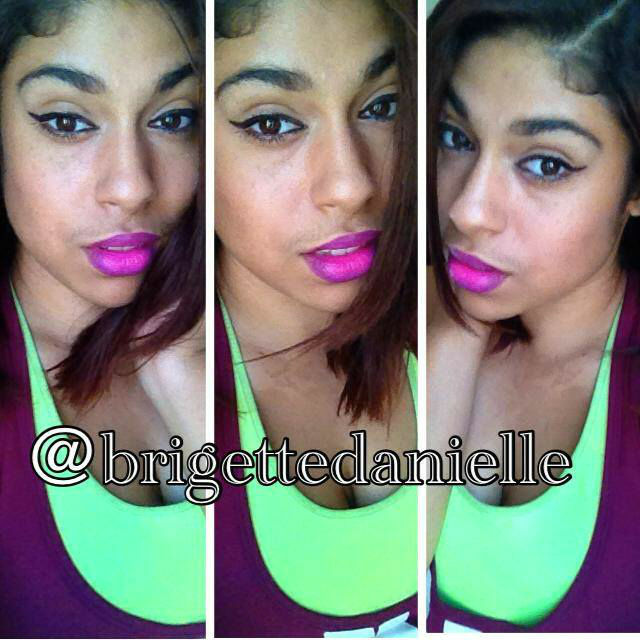 I used my favorite summer lipstick, CANDY YUM YUM, also from MAC! If you have seen Candy Yum Yum before then you know it is B-O-L-D!! Super bright and girly always get my attention lol. Since Candy Yum Yum is just as bold as heroine but obviously more bright, I only used two layers for this combo. And there ya go! Super simple right? A bold lipstick cocktail that is perfect for summer or really anytime you want! Have any questions or comments?! Let me know below! !